“Tip N’ Roll” bleachers are an ideal solution to your aquatic seating needs. 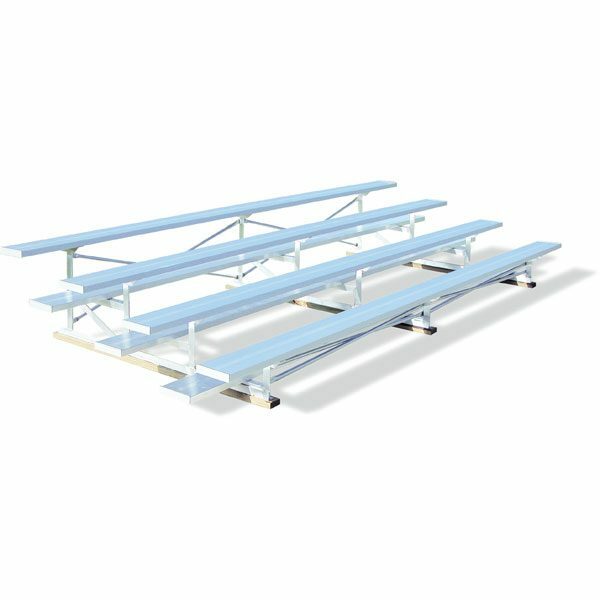 This bleacher is easily tipped up onto its swivel casters for movement, and caster brakes keep the bleacher from rolling when stored. All “Tip N’ Roll” bleachers include non-marring rubber foot pads to protect wood floors. The aluminum understructure (frame) reduces weight for easier lifting. Photos show the exclusive 4 row outrigger for added safety and stability. Always take extra care when you tip up bleachers. Aluminum planks can be ordered with powder coated seats. Add your team colors with our protective powder coat to improve appearance or to reduce glare. Available in stock lengths. Powder coating options are available in Scarlett Red, Forest Green, Royal Blue and Navy Blue. Custom colors are also available. 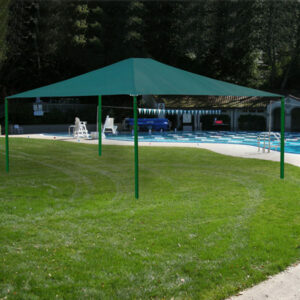 For specification documents, visit National Recreation Systems website.